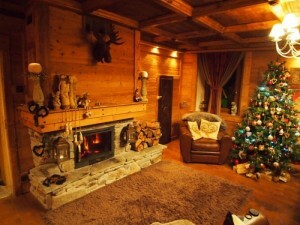 Think of a winter holiday in France and most people’s thoughts will jump to skiing. Piste skiing. Ski alpin. Resort skiing. It isn’t everybody’s cup of tea. 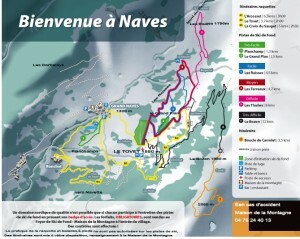 But thankfully there are numerous possibilities for a winter holiday in France for the non skier. I don’t know about you, but my idea of a good winter holiday is one away from the masses, where I can enjoy the peace, quiet and beauty of the French mountains and where I can still get my sporting fix. Thankfully, these requirements are all easily met in the mountains of France. 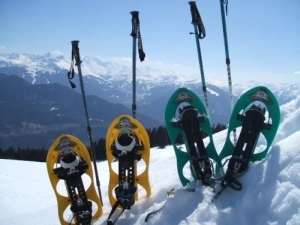 Snowshoes or ‘Raquettes’ as they are known in France, are the means to many great adventures in the mountains. 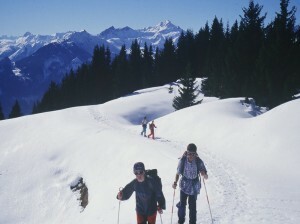 In many areas such as the Beaufortain valley in the Savoie department of the French Alps, waymarked snowshoe circuits for all abilities have been created. It’s a sport that can be enjoyed by all the family with equipment usually available to hire for children as young as 3 yrs. If you have more of an adventure in mind and are confident in your knowledge of mountain conditions in Winter, hire some snowshoes and select a circuit to suit your ability from a site such as Summit Post. Don’t forget your sunglasses and emergency rations! After a day in the mountains, it’s always a pleasure to return to your B&B and a hot chocolate in front of a roaring fire. Cross country skiing, Nordic skiing, ski de fond, it has many names but whatever you call it, this winter sport involves long skinny skis. 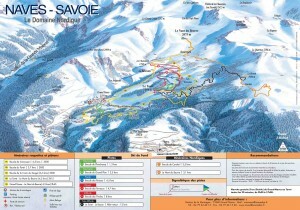 There are dedicated ski de fond centres throughout the mountains of France where kilometres of waymarked and graded circuits have been created to take you deep into the snowy mountains. On a blue-sky, snowy day, you may well have the mountains all to yourself! Simply heavenly! 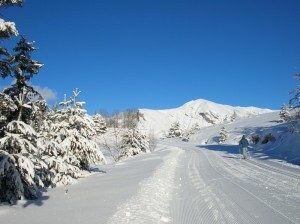 All of the gear can be hired at these ski de fond centres and tuition will also be available to introduce you to the classic style or the more energetic skating style of nordic skiing. But be warned, the latter will give you the workout of your life! 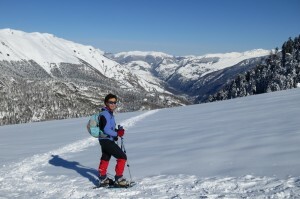 Both snowshoeing and Nordic skiing circuits have been created in several areas of the Champsaur valley on the edge of the Ecrins National Park in the Hautes Alpes. It is a breathtakingly beautiful, family friendly area and a great antidote to the big resorts of the Northern Alps. If you have a young family, look out for centres that have a dedicated ‘luge’ or tobogganing slope. The sledges can be hired on the spot or, if you are lucky, they may be available from your accommodation free of charge. 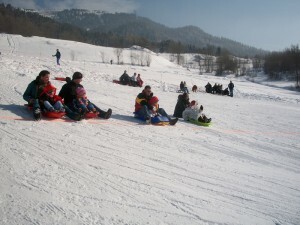 Tobogganing in this safe environment will provide hours of fun for children of all ages. So, if you are considering a Winter holiday to France, look beyond the usual expensive resort skiing break and open your eyes to the other Winter holiday possibilities that are available in other quieter but still stunningly beautiful mountain areas of France. The opportunities are endless.